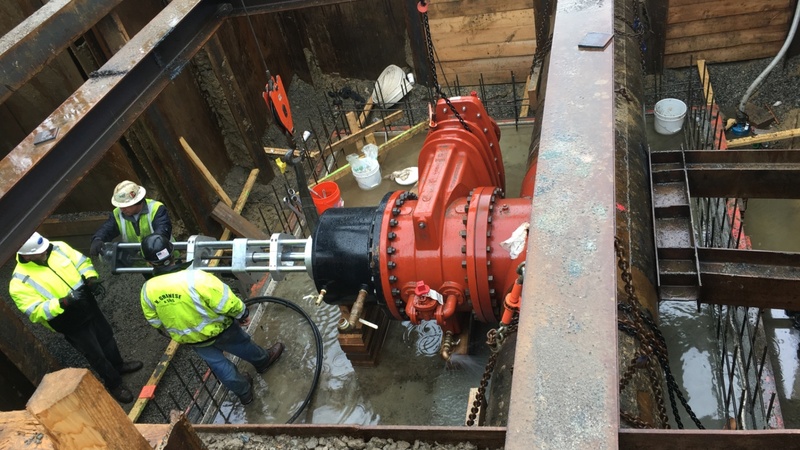 Our last project of the year consisted of two single 24″ linestops on chilled water lines utilizing three way fittings for Harvard University. The general contractor was Bond Brothers and, as always, it was a pleasure working with their crews. Because the flow in the chilled water lines could not be disrupted, the initial design considered was for two bypass taps on the chilled water lines so that once the linestops were deployed, there would be no change in pressure or flow. However, we recommended utilizing three-way bypass linestop fittings with pivotal stopping heads, thereby eliminating the need for the taps and reducing the number of penetrations in the pipe. Using this application, once the linestop is deployed, the flow bypasses through the linestop head. Since the excavation was tight due to other utiities, the street and an adjacent foundation, this turned out to be an excellent use of these fittings. The job went without a hitch. AWESOME!!! We want to thank Harvard University and Bond Brothers for giving us the opportunity to perform this work. Looking forward to the next job.